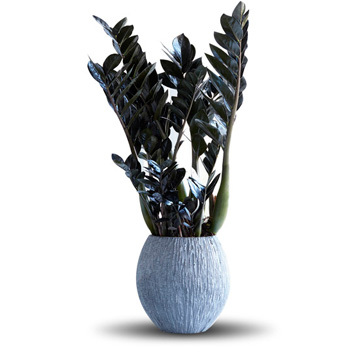 Zamioculcas Raven is an eye-catching presence with its black, feathered leaves, but it isn’t demanding. 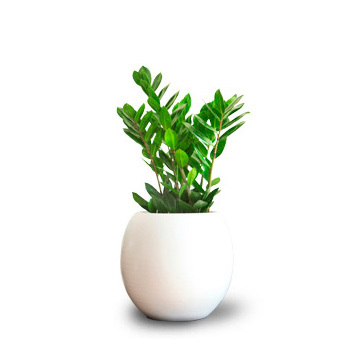 The plant is so easy that it can cope with a temperature range from 16℃ to 35℃ in either a dark or light spot in the home. With the same care requirements as its green cousin, it prefers to avoid direct sunlight in the summer and large quantities of water. With a little bit of plant food it will grow into a statuesque presence some 80 cm tall. Raven can last up to 4 weeks on the water and nutrients that it stores in its reservoirs – the roots and rhizomes – in the soil. This very tough survivor is totally unfazed if you forget to water it occasionally. Preferably less than more. That is the slogan of the Emerald Palm. Not too much water, and at most once a month a bit of plant food. That is enough. Moreover, you can put this extremely strong plant anywhere. Standing in the sun is no problem, though the leaves then become less green. It’s therefore better to keep the plant out of the bright sun during the summer. A full-grown Emerald Palm can reach about 80 cm. If you feel the plant is losing its form, you can simply cut out a ‘spear’ or branch with a sharp knife. Do not give too much water, keep on the dry side. The Senecio Aquarine® does well in the full sun, but also in light shade. He flourishes between 5˚ and 30˚ C. Even at higher temperatures the plant stands proud outside. Fertilising once or twice a month with (green) plant food keeps the plant nice and strong. 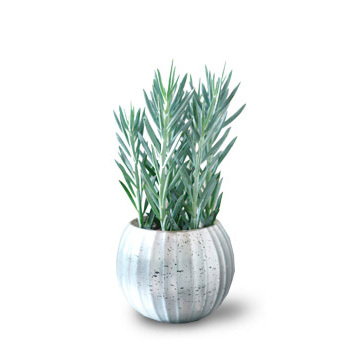 The Senecio Aquarine® will do well inside as well as on your balcony. If the plant gets too large, you can safely cut away half of the longest branch with a sharp knife. Then the plant just sprouts again.